Ground Breaking Artificial Intelligence System Guides Songwriters! At SnapJam we have created several tools to help people create their own songs, and an important part of many songs is their lyrics. Anyone who has tried to write song lyrics knows it is not an easy task, especially when you want your song to become popular. The problem is not only to join words that have rhyme and rhythm, but also to catch people’s attention and trigger ideas and emotions in your listeners: joy, nostalgia, passion, anger, dreams and memories. How could a computer help us with this task? It is hard to know if computers can have “ideas” or “emotions”, but they surely know how to solve puzzles. 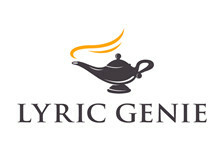 With this idea in mind we created Lyric Genie, alyrics generator based on artificial intelligence. The goal of Lyric Genie is not only to generate lyrics automatically, ignoring the user’s ideas and emotions, but to generate lyrics through a close interaction with the user. So instead of taking the pieces and solving the puzzle on its own, Lyric Genie lets the user define the pieces, suggests more pieces that may be useful, and helps the user solve the puzzle. The first step to write lyrics with Lyric Genie is to give it some characteristics that we want in our song: the structure of our song, and the approximate number of syllables in each line (figures1 – 2). The second step is to give Lyric Genie a seed so it can define the pieces of the puzzle, and this seed can be of three kinds: text in prose, a mental map, or incomplete lyrics (figures 3 – 4). The third step is to let Lyric Genie analyze the seed and characteristics that we defined, and to let it start solving the puzzle. In this step, Lyric Genie uses an artificial intelligence algorithm to generate lyrics from our seed, and also to give us suggestions to improve each line of the generated lyrics (figures5 – 6). A rhyming dictionary with almost 134,000 words, that lets us find 4 types of rhymes: perfect, assonance, general and bent (figure 7). A semantic dictionary with more than 147,000 words, that lets us find synonyms, antonyms and other 18 types of related words (figure 8). Lyric Genie is an artificial intelligence tool that helps us write song lyrics, using the latest developments in the fields of computational linguistics, natural language processing, computational creativity and optimization. It is a tool inspired by the ideas of great composers and researchers, and focused not on replacing human creativity, but on empowering it. At SnapJam we want to give you the best tools to create your songs. If you have already tested Lyric Genie, tell us about your experience and leave your comments and suggestions below. Your opinion is very important for us. Previous Previous post: Bringing Music Creation Tools to the Youth of the World! 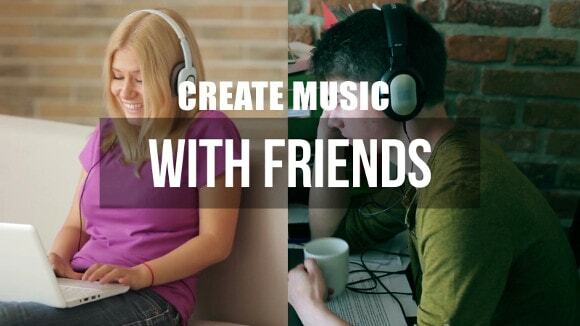 Next Next post: Six reasons that explain why online music making is bliss!